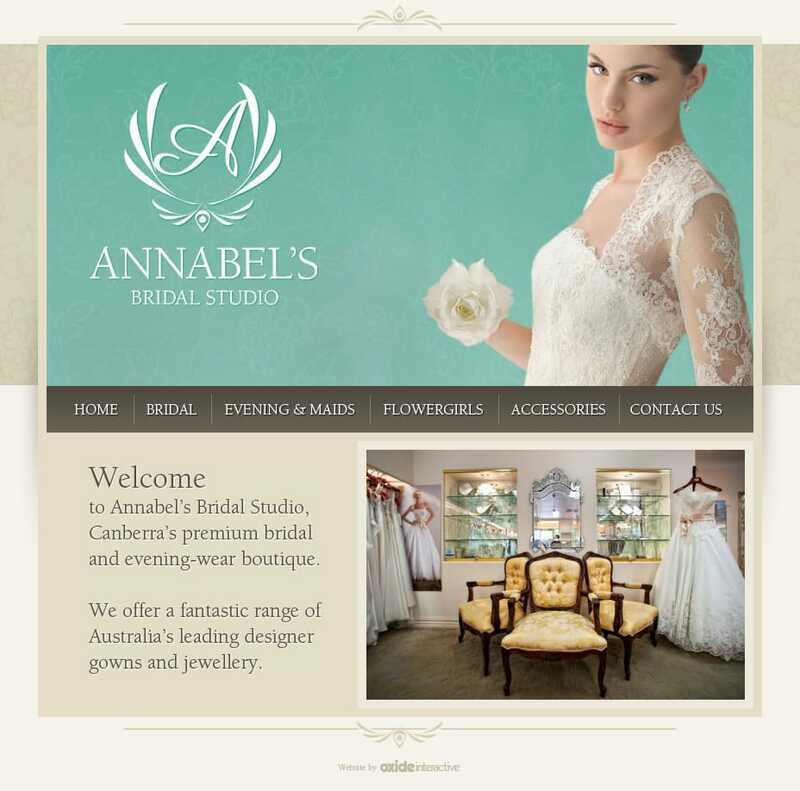 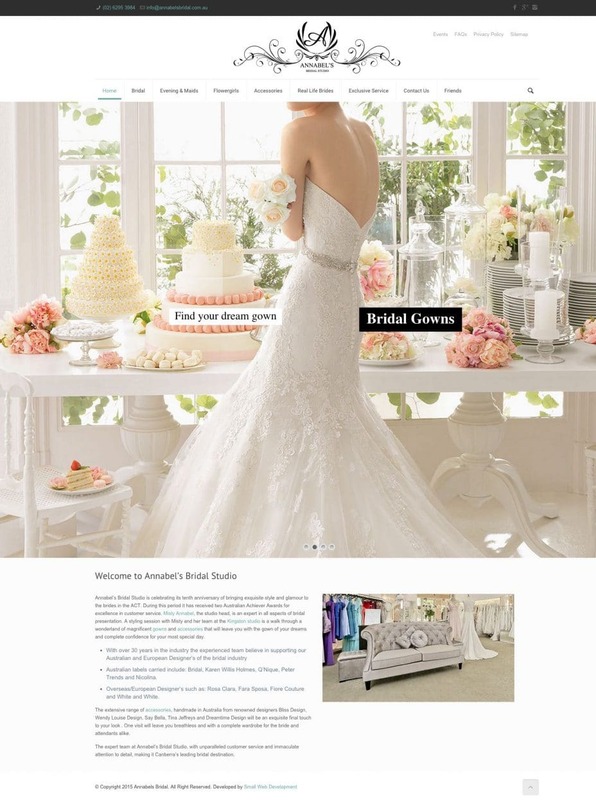 Annabel’s Bridal Studio is celebrating it’s tenth anniversary of bringing exquisite style and glamour to the Brides and those seeking Formal Wear in the ACT. 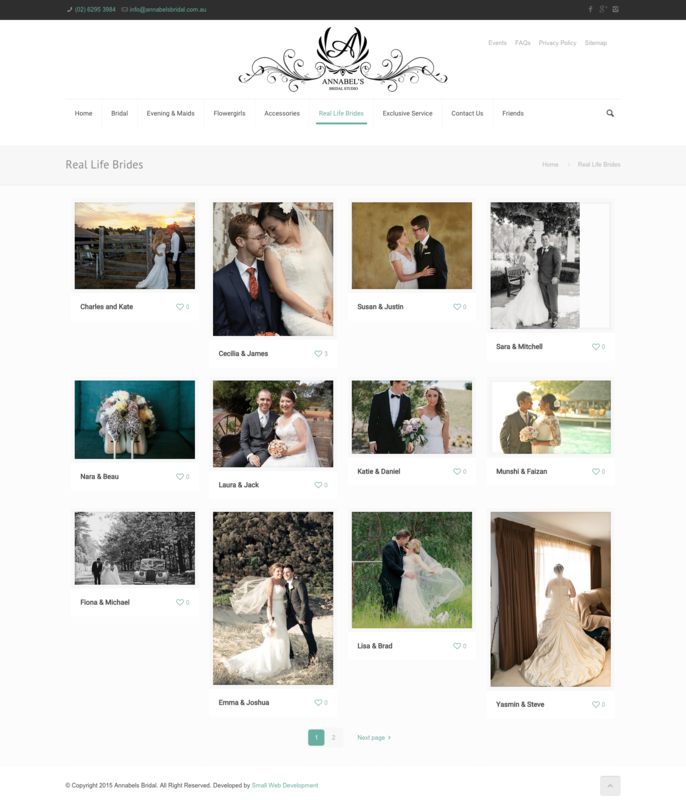 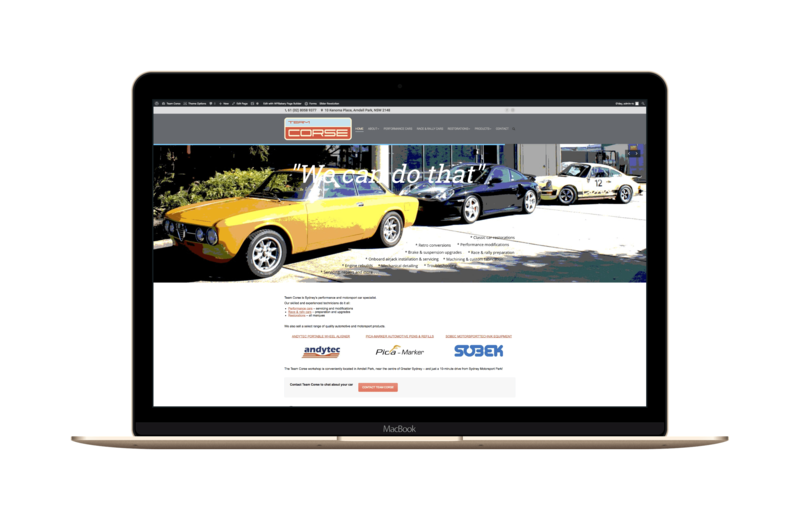 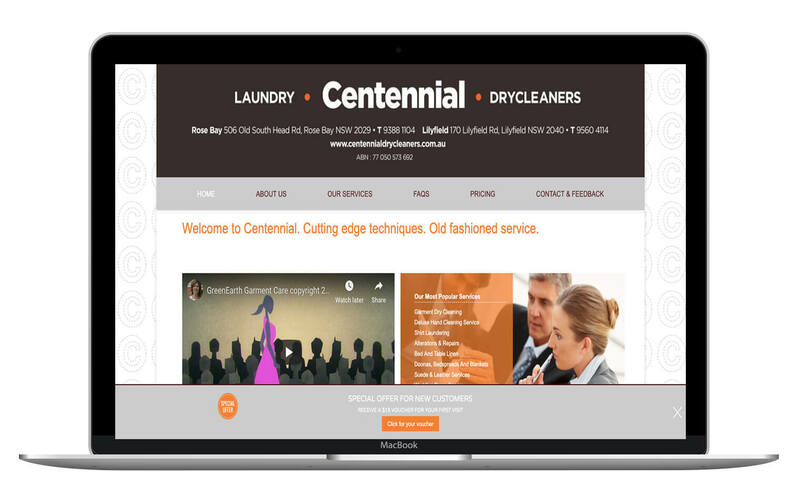 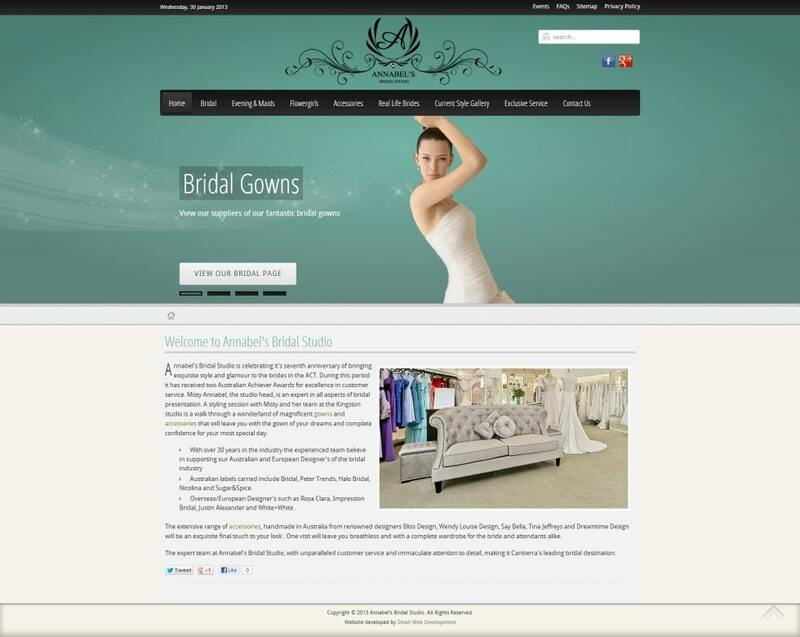 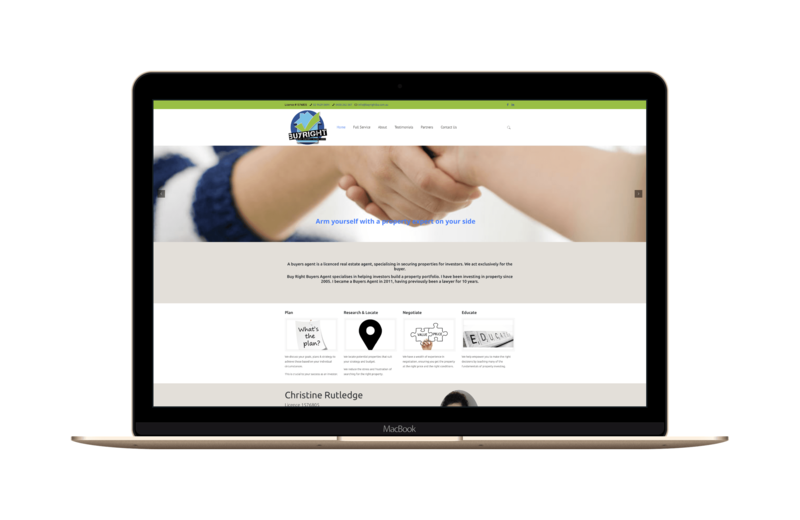 A new WordPress website was developed to replace the Joomla website (an HTML based site had initially been developed) to allow easier content editing. 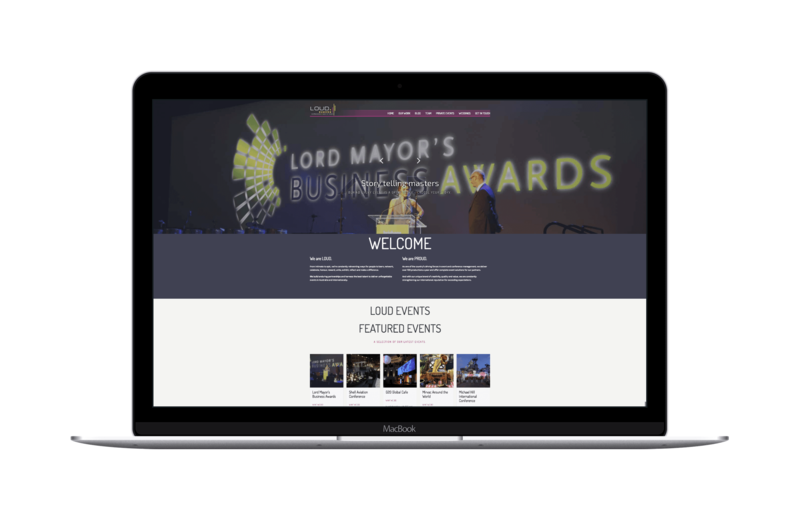 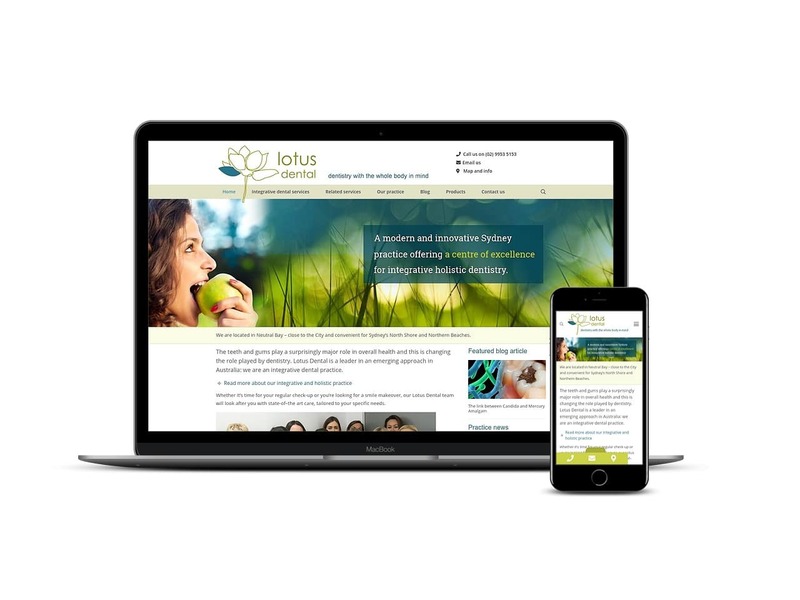 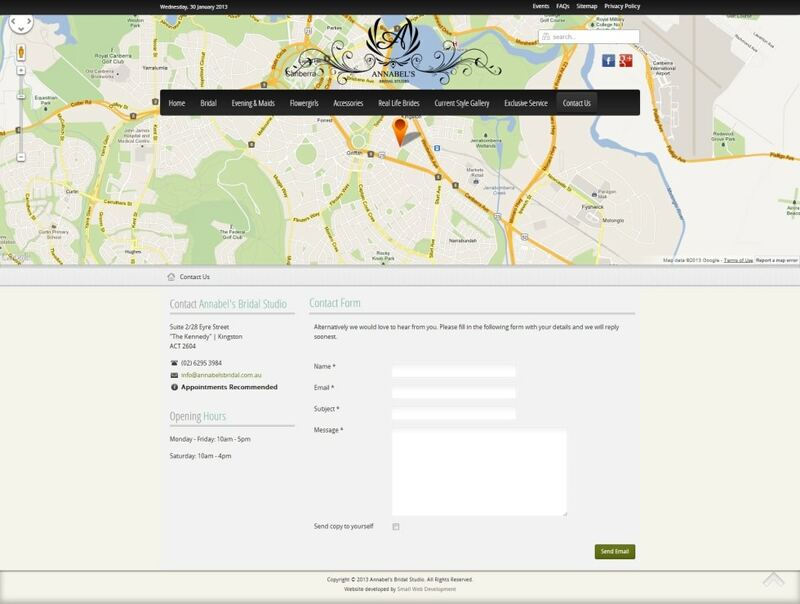 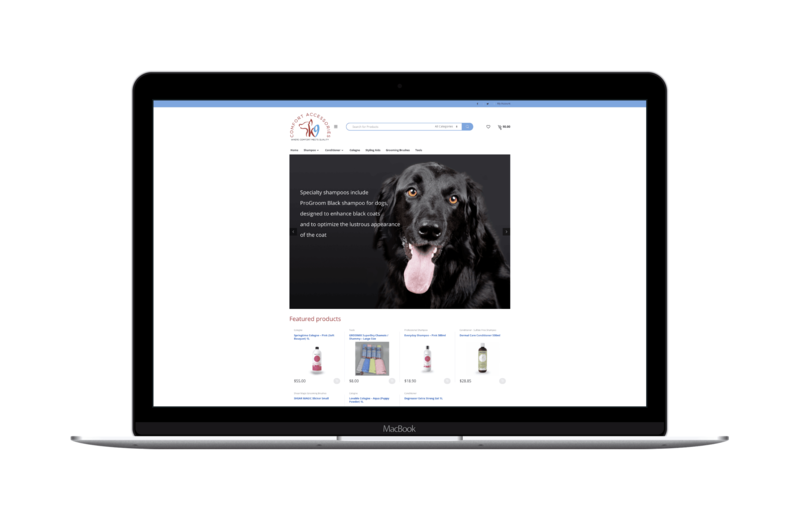 Responsive web design has been utilised so visitors can view the website on smart phones and tablets.